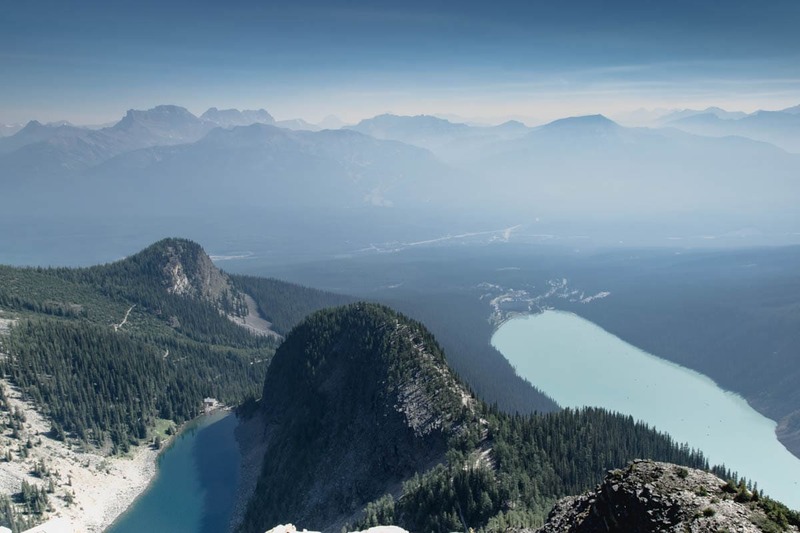 If you’re looking for the best Banff area hikes and great hiking trails near Banff Lake Louise then check out the list below. One of the best Banff activities is to go hiking. There’s plenty of Banff backpacking with Banff backcountry camping to do but this post focuses on some of the best day hikes in Banff National Park. 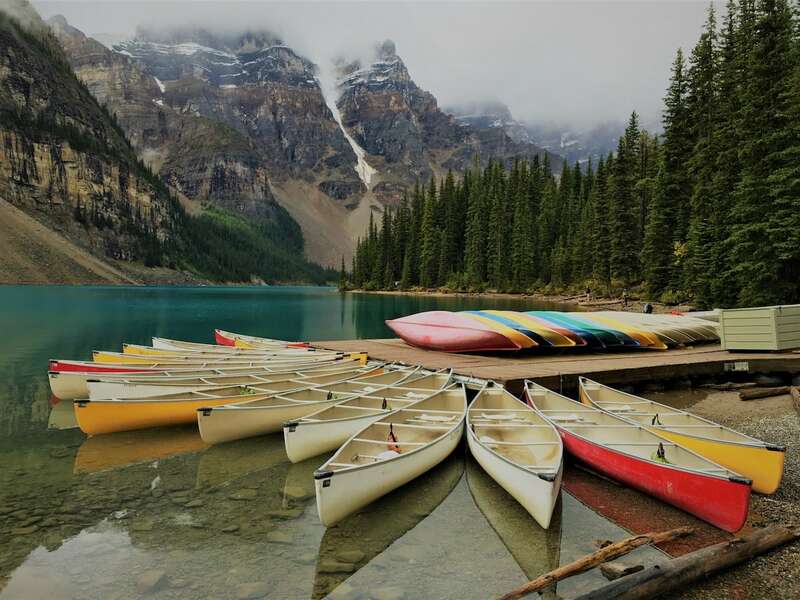 If you’re wondering what to do in Banff, Canada then check out this post but if it’s just some Banff walks you’re after then read on! 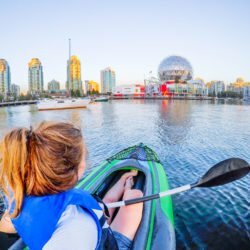 When is the best time of year to visit Banff? Since there are so many places to visit in Banff it doesn’t matter too much which time of year you visit Banff. 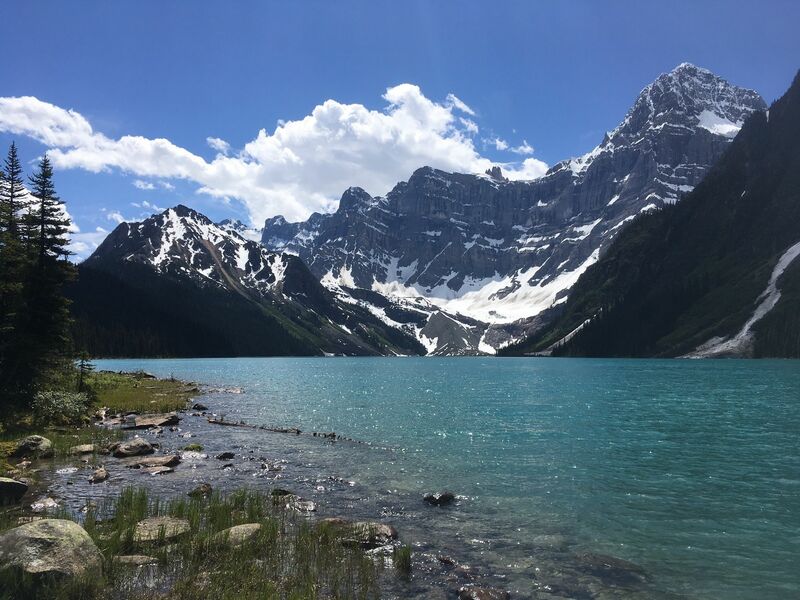 However, if you’re planning on doing lots of hiking then you’ll most likely want to visit between lake spring and early autumn since that’ll be the best time to go to Banff for hiking. Check the average yearly temperatures to get a rough idea of the weather when you go. If you visit outside of July & August be prepared for there still to be snow on the trails at higher elevation, or for it to snow when you’re there. Always be prepared for changing weather in Banff (and any mountains!) pack warm layers, suncream and your 10 essentials! Keeping safe on the trails is your responsibility. Remember to check the Banff trail conditions before going and plan correctly. You can find out the trail conditions in Banff in any visitor centre. Make sure to pick up a detailed Banff trail map and ideally have a compass with you as per your 10 essentials. Be bear safe and carry bear spray. Check out this post on bear safety tips for more info. It’s advised to travel in groups of 4 or more (on some hikes this is enforced) and make noise to prevent surprise encounters with wildlife. See all the above hikes on this Banff hiking map below. 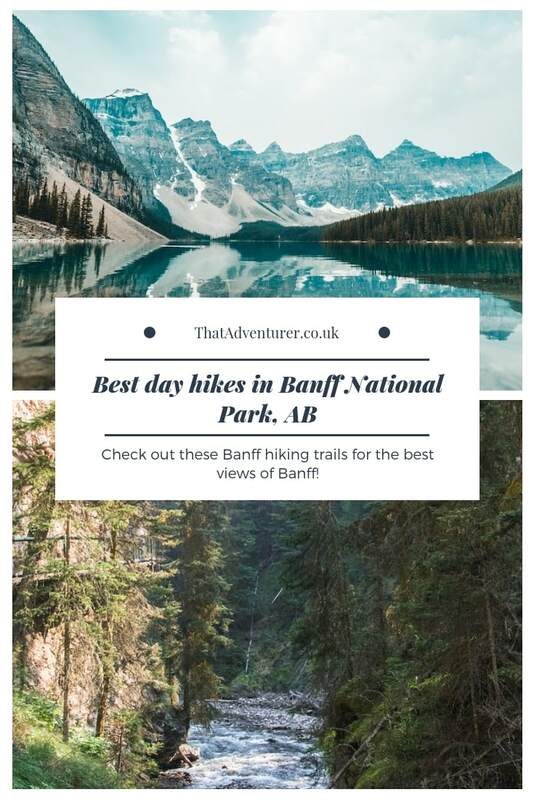 Of course, there are so, so many more hikes to do in Banff National Park but this is just a pick of some of the most accessible day hikes. If you’re looking for some of the top hikes in Banff then I’ve got you covered. 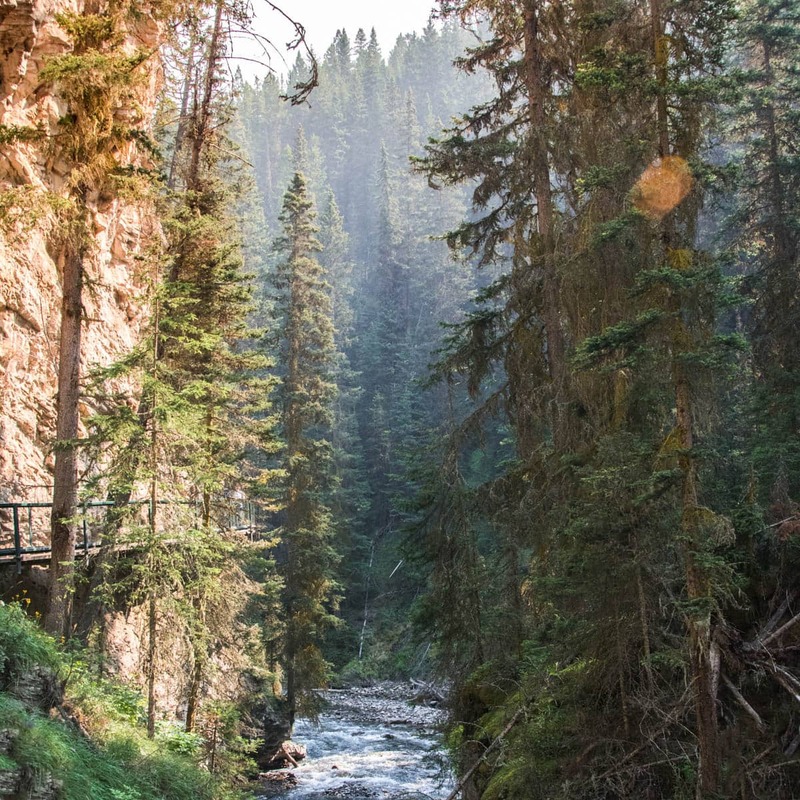 Some of the best Banff National Park hiking is quite far outside of downtown Banff but that doesn’t mean there aren’t some easily accessible trails that make for great Banff day hikes. 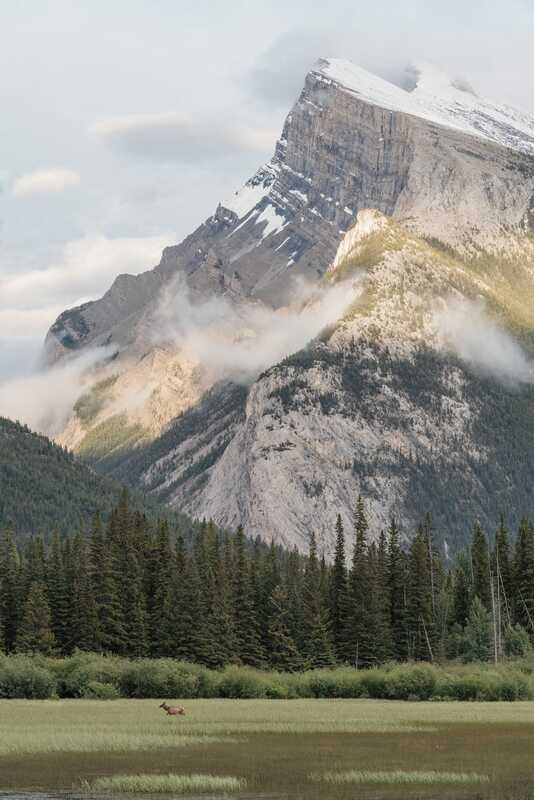 The Bow Valley Parkway is a scenic drive off the main road between Banff and Lake Louise. It has plenty of places to hike along it. Here are some of the best Banff National Park trails in the Bow Valley Parkway area. Johnston Canyon in Banff National Park is one of the most popular Banff hiking trails. The canyon itself is a top Banff attraction and the easy trail to the lower and upper falls at Johnston Canyon do get very busy. These Banff falls are worth checking out, but go early or late to see them at a quieter time. If you’re there when it’s busy you may have to queue to view these waterfalls near Banff. However, if you want to get away from the crowds a little bit then head to the Inkpots. The Ink Pots are a 10.8km round hike and this Banff trail takes you over a forested ridge before coming out into an open meadow. At this point you’ll see the Ink Pots: shallow pools where warm water bubbles up from deep below the earth’s surface. Rockbound Lake is just east of Castle Junction and is a long, steady climb through forest. You head behind the distinctive cliffs of Castle Mountain. As with the Ink Pots trail this trail in Banff also opens into a meadow and then Tower Lake. at this point you’ll climb and come out at the glacial Rockbound Lake making this one of the best Banff day hikes. Healy Pass is one of the best hikes in Banff National Park. It’s a fairly long one (6-7 hours) and is especially great from mid-July to August as the wildflowers here bloom in abundance. However, if you’re visiting Banff National Park in September you’ll also want to hike Healy Pass as the larches turn into a magnificent golden yellow colour. There are even some hikes near downtown Banff. Some of the best lakes in Banff are close to the centre of town so you’re in for a treat. If you’re wondering what to do in Banff or looking for great Banff hikes then make sure to check out the Sulphur Mountain trail. 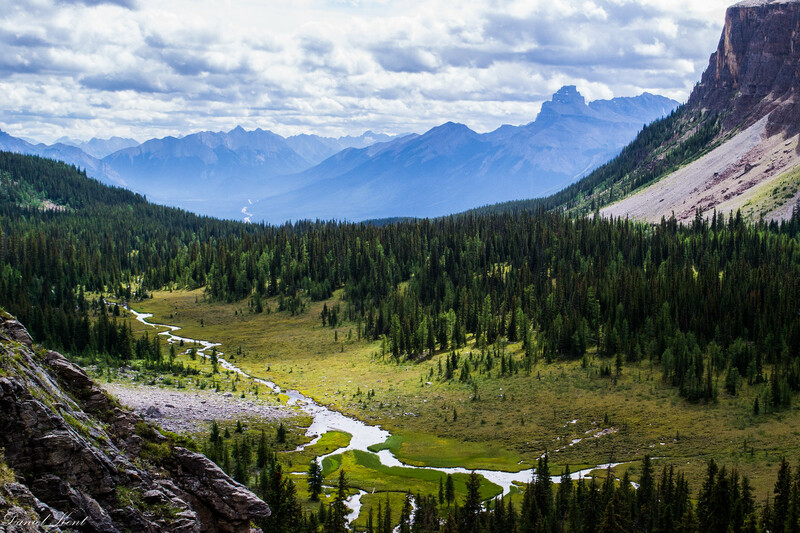 This hike showcases some of the best of Banff. The Sulphur Mountain trail has plenty of switchbacks but that means the incline isn’t too steep all in one go. 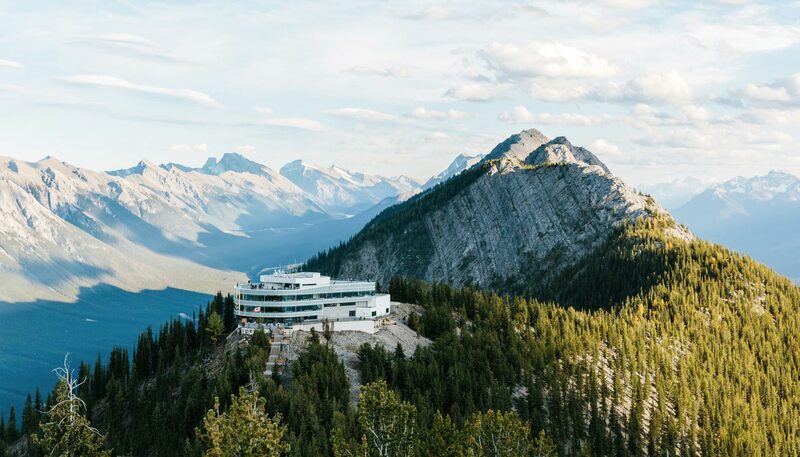 The summit is well known for its breathtaking mountain views which makes this a must do in Banff. Make the hike slightly longer by heading out on the boardwalk trail that goes along a ridge to Sanson Peak. Here there are even more great views and the remnants of the Sulphur Mountain Cosmic Ray Station National Historic Site. Tunnel Mountain is one of the top things to do in Banff National Park. If you visit Banff and want to see what the town looks like from above then this is the trail to hike. 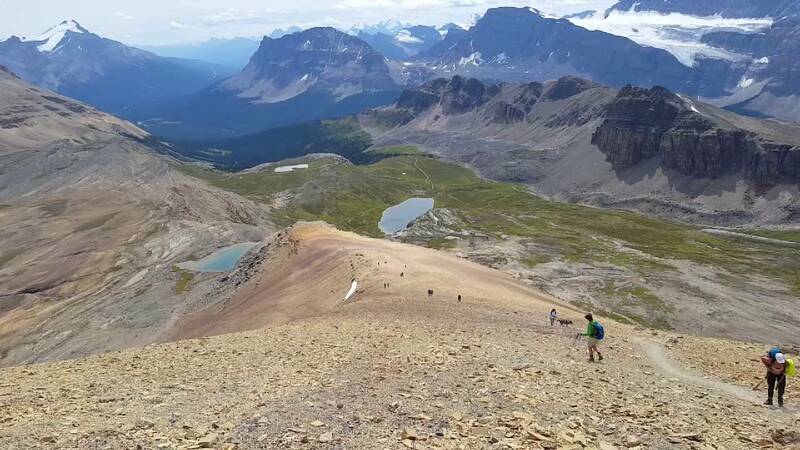 It’s one of the top things to do in Banff and reaching the summit doesn’t require too much of a climb. 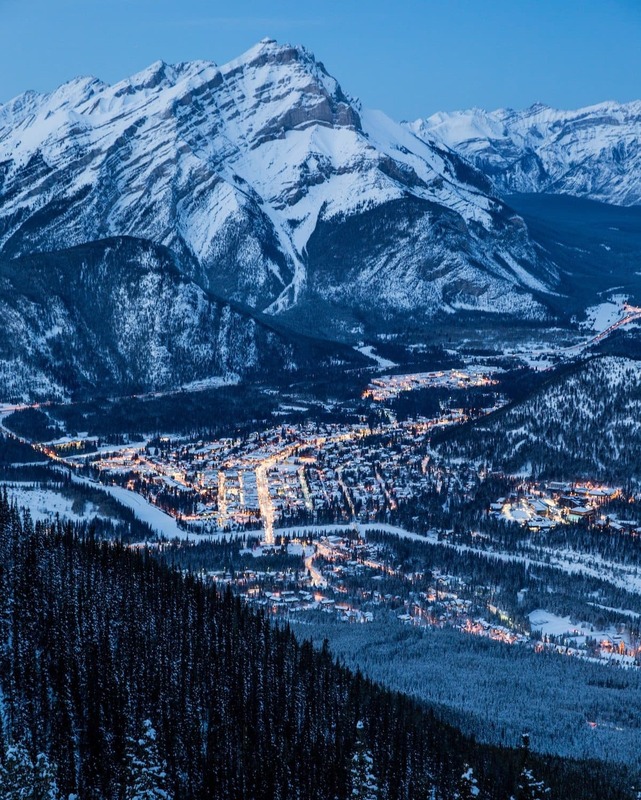 From Tunnel Mountain summit you get views of downtown Banff, Bow Valley and Mount Rundle. This hike can be on your list of Banff winter hikes but you may need spikes from October to April. Lake Louise can be separated into the town area and the lake area. Most of the hikes are in the lake area around Lake Louise and Lake Moraine. 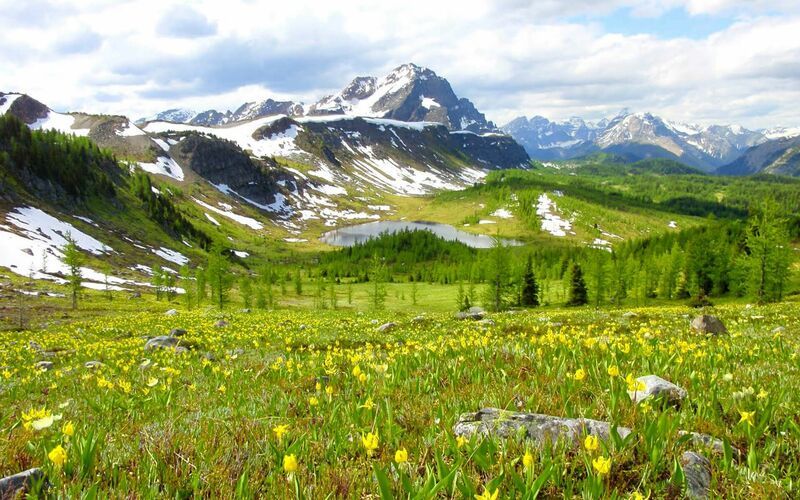 This area is home to some of the best Banff National Park hiking trails. Head up into the mountains for a beautiful view of the lakes down below. You’ll even come across some other lakes along the way. One of the best things to do in Banff, Canada is to hike to the Lake Agnes tea house from Lake Louise. If you’re only going to do a little Banff National Park hiking then make sure you do this one. The trail is pretty easy if you’re fit but there is a pretty decent incline. You’ll climb up through the forest and get glimpses of Lake Louise below every now and again. Around ⅔ of the way you’ll come across Mirror Lake and then right before the end there’s a Banff waterfall for you to enjoy. Climb the stairs and you’ll see the Lake Agnes tea house and Lake Agnes; one of the prettiest lakes in Banff National Park. If you started your hike early enough you should be able to get a seat. 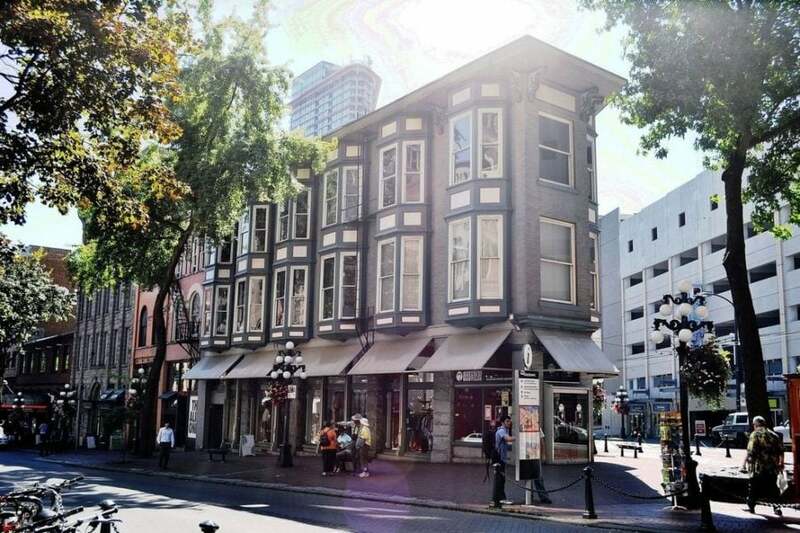 Enjoy some biscuits and tea before taking on one of the other great Banff day hikes. A popular continuation from the Lake Agnes tea house trail is to do the climb up to Little and Big Beehive. Most people tend to combine the two and make it into a big loop. Big Beehive involves walking around Lake Agnes before taking on a series of fairly steep switchbacks. Once you’re at the top you’ll get amazing views of Lake Louise and the Fairmont hotel (which looks just like a castle!). If you’re hiking to little Beehive, which was once a fire lookout, it’s just 1km each way. From here you’ll be able to see the Bow Valley. Devil’s Thumb is another extension to the Lake Agnes trail. It continues by following the trail to Big Beehive and then takes a different direction after all the switchbacks. I think it’s one of the best hiking trails in Banff but it does involve some narrow, steep trails and a very steep scramble. It’s definitely one for experienced hikers but it’s worth it! This is one of the best easy hikes in Banff since you’ll get to see more of Lake Louise. You’ll walk along the lakeshore and then come upon the creek. This milky creek is what gives Lake Louise its magical colour so it’s pretty cool to see! Whilst most people stay on the Moraine Lake rock pile, you can escape the crowds by going on a longer hike in the area. 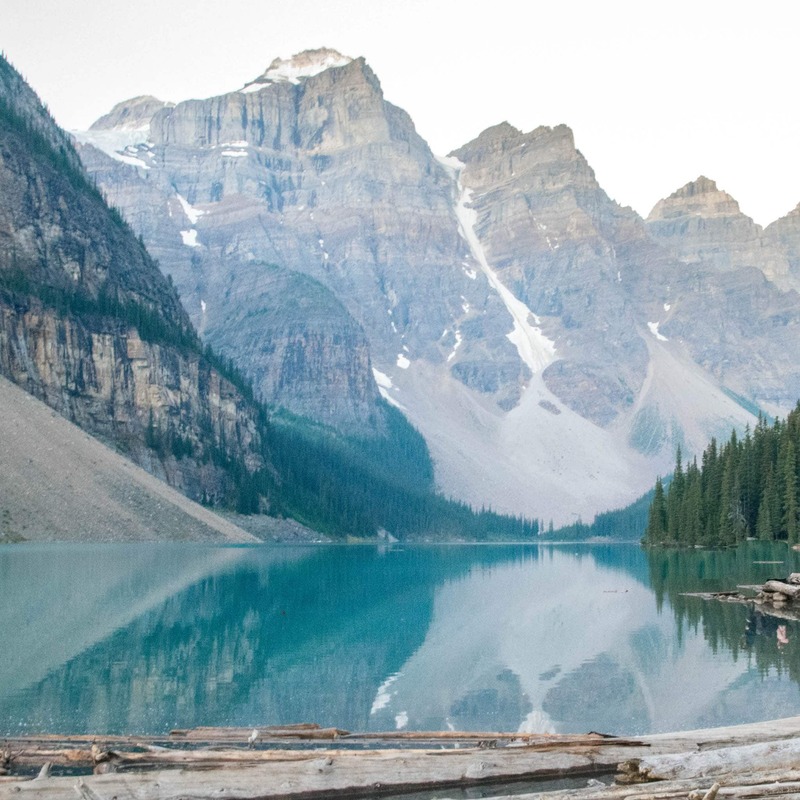 If you want to maximise your time at Moraine Lake then go on a hike! 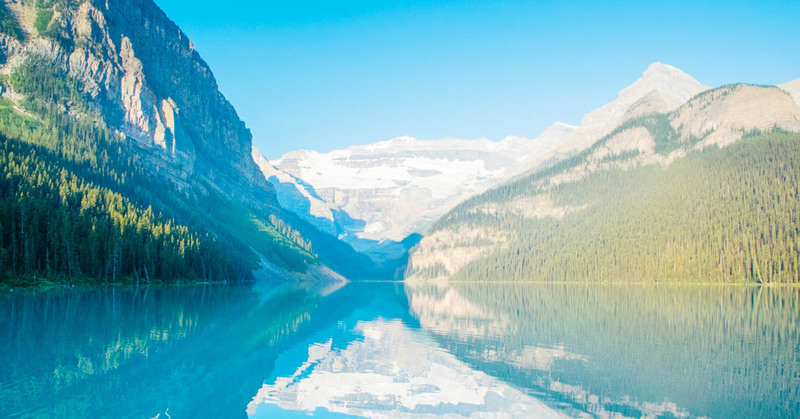 The Lakeshore trail is an easy hike in Lake Louise that gives you not only views of this beautiful lake near Banff but also of Mount Fay and the Fay Glacier. If you’re visiting Banff in fall then make sure to check out Larch Valley and Sentinel Pass. It’s one of the best hikes around Banff. In fall the trees turn golden which makes it one of the best trails in Banff at that time of year. In Larch Valley you’ll get views of the Ten Peaks and hiking to Sentinel Pass takes you through the beautiful Paradise Valley. The Icefields Parkway doesn’t just make a scenic drive it’s also one of the best places to go in Banff for hiking. 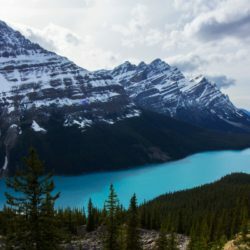 Peyto Lake is a Banff must see. It’s one of the most popular Banff walking trails and is definitely more of a walk than a hike. It’s a short walk from the parking lot uphill until you come out at a viewing area of one of the most famous lakes near Banff. This is one of the best short hikes in Banff since the view is so rewarding! A great lesser known hike just off the Icefields Parkway is the Chephren Lake hike. It’s one of the quieter hikes near Banff and it’ll see you go through forest and wind round trails. 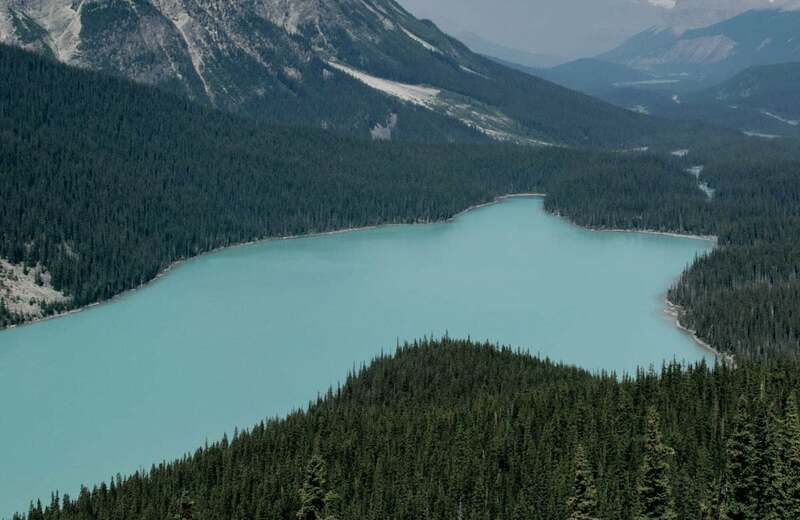 At the end of the trail you’ll get to one of the top places to see in Banff: Chephren Lake in all its turquoise glory. Cirque Peak involves a steep hike and then a scramble to the summit. It’s not very technical but it’s still a hike for more experienced hikers and there’s A LOT of elevation gain on this, one of the best hikes around Banff. 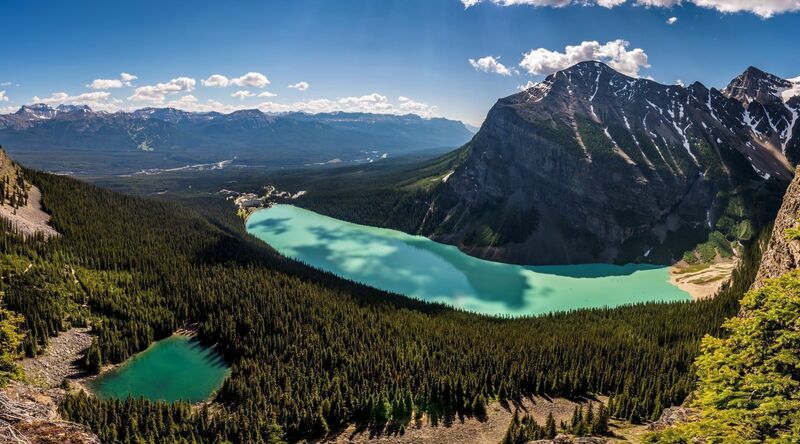 The hike also takes you past Helen Lake (one of the prettiest lakes around Banff) and once at the top you’ll see the Wapta Icefields, Bow Glacier, Peyto Lake and Bow Lake making it one of the best hikes near Banff. Trailhead: Park at the Helen Lake trailhead parking lot 1km south of Bow Lake. Across from the Crowfoot Glacier viewpoint approximately 38kms north of Lake Louise on the Icefields Parkway. Banff National Park. Wow, what great content, and so comprehensive. 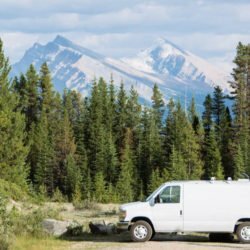 I like that you show your wealth of knowledge about several trails in Banff, and supplement that with plenty of other resources, like advice on how to get there, where to stay, and even what to wear. Really nice job. I’m going hiking later this afternoon, but in my local city of Seoul, S. Korea. There are plenty of mountains here too, but perhaps hot quite so scenic. Have fun hiking! I bet Seoul still has plenty of great hikes!